Recently at Ignite we were all part of a very special event where five people from our community were baptised or reaffirmed their baptisms. We had a fun trip to the beach, watched our friends get dunked and heard their stories. But it wasn’t just a nice day to give you a warm and fuzzy feeling, ceremonies like these are also vitally important. But why? When reflecting on the importance of baptism, I found it useful to think about other ceremonies. 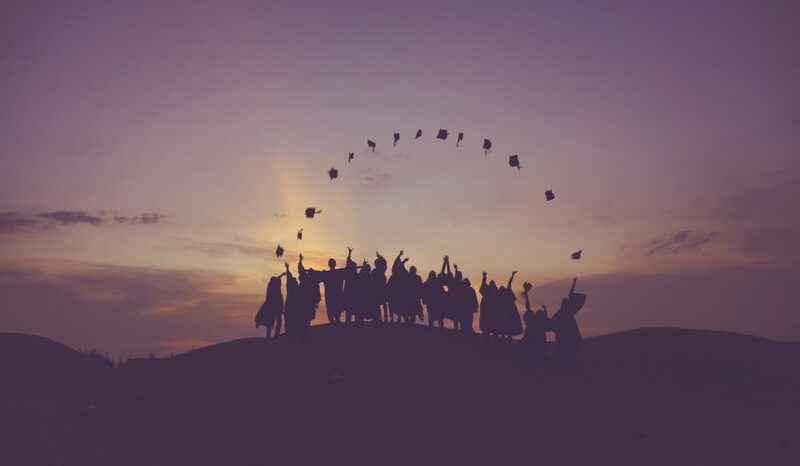 Consider a graduation ceremony, a student doesn’t go from nothing to suddenly having a degree just by showing up to their graduation day (although this would have made going to college a lot easier). The reason they’re graduating is because of a gradual change that has been working in them as they studied. They don’t even have to attend the graduation ceremony to graduate, they still have that knowledge. But it’s important because it’s a tangible way to mark their achievement and transformation. It’s a threshold moment just like baptism. Ceremonies engage the mind, soul and importantly, the body, which is a powerful way to help you process what it represents (which is also why I like singing worship songs). Ceremonies move something from being internal to being external and from there special things can happen. A personal transformation can affect people around you. Picture the smiling proud parents at graduation day, I’m sure many think back to their own graduation reflecting on what it meant to them. At a baptism those witnessing it can reflect on their own journey of faith, commitments they have made, transformations they have gone through or it may spark a desire in others to make a similar commitment. The effects of the ceremony can spill out causing a ripple effect which makes them not only important to individuals but also to the life of the church. The baptism day we had at Ignite really exemplified the four core purposes of Ignite: Worship, Community, Transformation and Mission.